Want To Learn How To Use Ableton For Hip Hop? Get over 1.5 hours of in-depth training in this 5-Part Complete Ableton Hip Hop Course. Work along with Nobody Famous using project files (included) as he walks you through (step by step) his entire process of creating a Hip Hop track from start to finish. It's like your right in the studio with him! This Ableton course will teach you the ins and outs of the powerful DAW. A lot of the techniques used in the course can be applied to your weapon of choice. This particular training course concentrates on navigating Ableton in a way that is beneficial for a Hip Hop Producer. You will learn how to chop samples like Maschine or MPC, Warping Audio, Using Plug Ins, Arrangement and Session views explained and so much more. This 90 minute course is packed with content that you don't want to miss. Download today to start using Ableton like a pro. 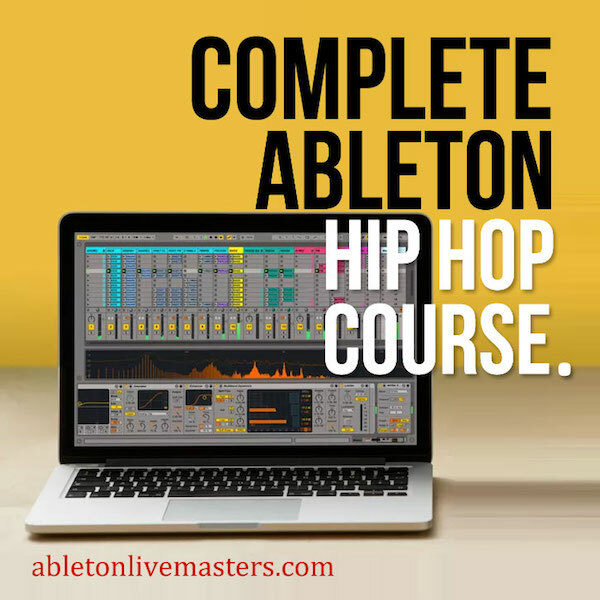 Get over 1.5 hours of in-depth training in this 5-Part Complete Ableton Hip Hop Course. Work along with Nobody Famous using project files (included) as he walks you through (step by step) his entire process of creating a Hip Hop track from start to finish. It’s like your right in the studio with him! This 90 minute course is packed with content that you don’t want to miss. Download today to start using Ableton like a pro.